The mere thought of stepping foot in an elevator can strike fear in the heart of certain people. If you have a phobia about riding on elevators, it is important to separate the myths from the facts about elevator safety. A company that offers elevator maintenance near Salt Lake City can provide periodic services that will keep your commercial elevator in safe operating condition for all of your daily business activities. To highlight the safety of today’s elevators, let’s bust some common elevator fears. When a person is afraid of riding on an elevator, he or she may be worried that there is a single cable holding up the entire weight of the elevator car. In reality, elevators are suspended by a series of extremely strong steel cables, which are designed to fully protect the elevator from falling. During your next elevator ride, you can rest assured that the car is safely suspended in the shaft by many different cables. 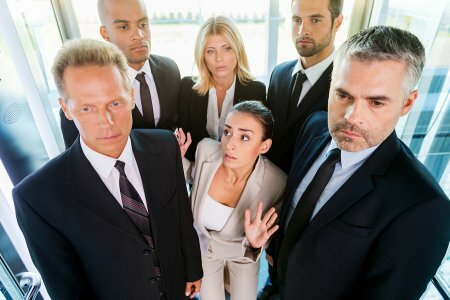 Some people feel uneasy when they enter a crowded elevator. When there are many people on board an elevator as it is travelling up and down, it may seem like the excess weight will make the elevator more likely to fall. The truth is that modern elevators are equipped with sensors, which will cause the elevator to remain safely in place in the event that the weight limit has been exceeded. For the safety of all passengers, an elevator’s doors cannot open unless it has arrived at a designated floor of a building. The mechanism that allows the doors to open can only be activated when the car has arrived at a safe location. When the elevator is in motion, this system prevents the doors from opening dangerously between each floor of the building. You can rest assured that your elevator car will remain securely closed, throughout your entire ride.